18 karat yellow gold and pyrite necklace designed and hand crafted by Anne Sportun. 18 karat yellow gold and pyrite necklace designed and hand crafted by Anne Sportun. The necklace features round faceted pyrite beads with one 18 karat yellow gold hex bead at the center of the necklace. 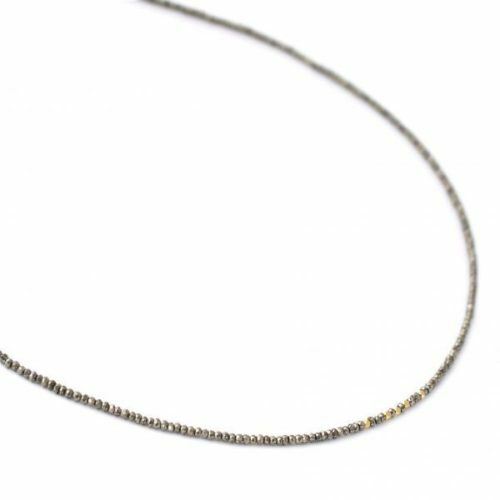 The necklace measures 20″ with a circle spring clasp. The style number is N1634G-PYR.